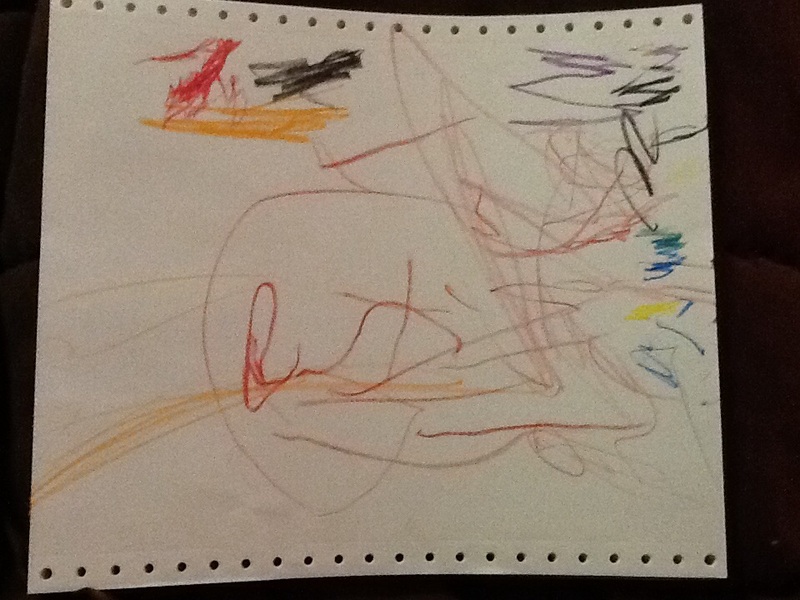 Today’s guest blogger, aged three, begins practice for my art doodle class. He seemed to be more interested in color than form. I may need to work on my early childhood teaching skills… Just a bit. Any more questions for my Q&A session? Post them in the comment section! That’s about how my doodling looks! I have those same GREAT doodles on my kitchen walls. Wonderful. Since you and Vernon did not sign my wall, how about sending me Wyatts doodle to hang? My first from Wyoming.